ARTFUL LEARNING® stimulates and deepens academic learning through the arts. Artful Learning is a transformational learning model that empowers educators to use the arts and the artistic process to awaken and sustain the love of learning for all students. Based on over twenty years of intensive collaboration and refinement, field research and implementation with leading educators, researchers and practitioners of the model, the Artful Learning Sequence and Model is a framework that educators can use to revitalize their curriculum and their teaching practice. Grounded in the artistic process, this extensive, research-proven professional development program gives educators the tools to apply the Artful Learning methodology over a three-year implementation process, ultimately building a sustainable, thriving learning community. Initiated by American music icon Leonard Bernstein and realized by thousands of people around the nation, Artful Learning is changing the landscape of teaching and learning. 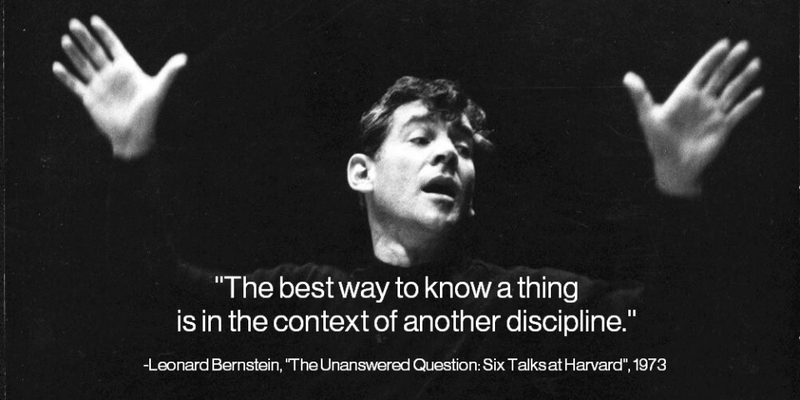 Bernstein's vision was to use music and the other visual and performing arts as a means of instilling a lifelong love of learning in students. Artful Learning embeds the arts within the learning process through a carefully researched, concept-based, interdisciplinary model that has proven to increase comprehension in students as well as improve academic achievement.